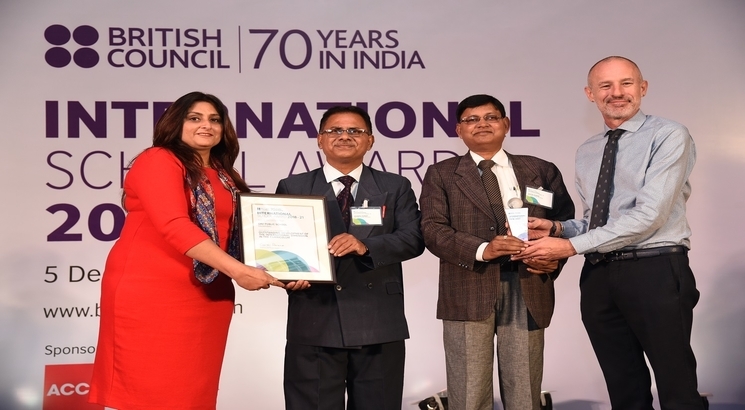 NEW DELHI, DECEMBER 6: More than 200 schools from North and East India were awarded with the British Council International School Award (ISA) in New Delhi recently. The ceremony was attended by more than 300 teachers, educationists, school leaders and heads of organizations. Speaking on the occasion, Duncan Wilson, Director, Schools English and Skills, British Council, said “The world is becoming a more connected place. Students and teachers who are going to succeed in this world need to have a cosmopolitan, broad minded outlook. As we celebrate the presentation of the International School Award to over 200 schools in north and east India, it’s inspiring to see the hard work and creative ideas of teachers and students led by school leaders to create internationalism and collaboration in their schools”. The British Council International School Award (ISA), which has a presence in 31 countries accredits schools with an outstanding level of support for nurturing global citizenship in young people and enriching teaching and learning. The ISA supports this purpose by encouraging opportunities for international learning and recognizing and celebrating the achievements of educational institutions that create them. Apart from Delhi, the other schools from North India included those from Agra, Bulandsheher, Faridabad, Ghaziabad, Greater Noida, Gurgaon, Kanpur and Lucknow. The range of participating schools varied from large private schools to government schools from rural areas and schools for students from marginalized communities.